It was Charlie’s father Sam who rehearsed him and trained him for his shot at the big time…..and his father’s perseverance paid off. Charlie was a five-time winner on Paul Whiteman’s “Teen Club” TV Show which emanated from Charlie’s home town, Philadelphia. He made his first records in 1953 for a small label called Cadillac just as rock ‘n’ roll was beginning to find its feet and then had a couple on a subsidiary of the Gotham Record Corp., in Philadelphia before being ‘discovered’ by Bernie Lowe and Kal Mann at Cameo Records in 1957. In what seemed like the blink of an eye Charlie was at number one on Billboard’s pop chart with “Butterfly”, despite competition from Andy Williams, who would also make the top spot and who would beat Charlie in the chart stakes in Britain (Charlie’s version made number 12). 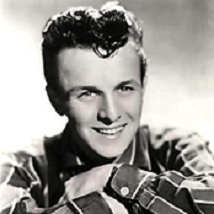 Subsequent releases like “Fabulous” and “Wanderin’ Eyes” did better for Charlie in Britain than they did in America, both making the British Top 10. 1959 saw Charlie move to Coral Records, followed quickly by stop-offs at Roulette and Felsted before spending a couple of years at President. The success he had in Britain during his hit making days secured him a loyal fan base that lasted into the nineties and his popularity never dimmed in many European countries either.